Ed Coates has resigned his position at Cannon County High School. The man who pioneered the carpentry program at Cannon County High School is stepping down after eight years leading the course. Ed Coates has resigned his position at the high school to dedicate more time to his private business, Coates Quality Construction (CQC); however, the decision didn’t come easily. 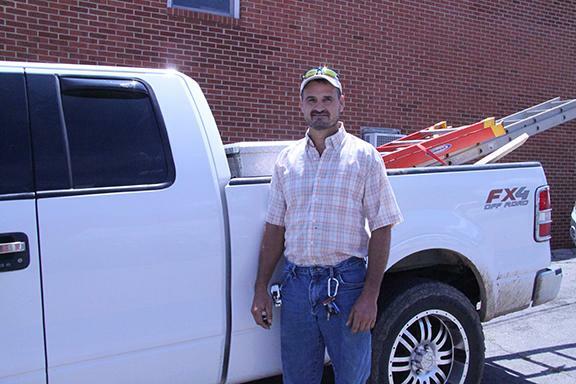 Coates started the carpentry program at Cannon County High School in 2006 and in his eight years developed young men and women who have excelled at the trade. Coates got his start in carpentry through an apprenticeship with Detroit Carpenters. “I knew I had the experience and the background so I thought I could be an asset to the students in that way,” Coates said. Seeing students learn and grasp the trade was Coates’ primary satisfaction. In fact, the carpentry shop at CCHS was primarily built by students. “Students did 85 percent of the building on that shop,” Coates said. “Even today when students come in and I tell them it was students who built this, some may have no experience and think all of this is beyond their grasp, and then they start believing. Coates’ students have built mini barns and picnic tables that have been sold in the community. The profits from those buildings go into the carpentry program and fund other projects. Students in the class also have performed concrete repair throughout campus and also were responsible for building the new ticket booths at the football field. Several of those students earned Coates’ trust and respect to the point of putting them to work in the community. Coates said the daily interaction with students and seeing them progress in the program is what he will miss most. Anyone interested in carpentry work can contact Coates at (615) 809-7695. Good luck neighbor!! I know they will miss you at CCHS.